Watch full One Piece Season 15 Episode 47 English Dubbed full HD online. One Piece Episode 563 English Dubbed online for free in HD. On Fishman Island, Jimbei and Sanji continue to fight Wadatsumi and Wadatsumi becomes angry and inflates himself unknowingly crushing some of his allies. Sanji goads him into growing larger after saying he’s smaller than Surume. At that time, Neptune is greeted by some of his soldiers and the Minister of the Left and apologize for not protecting him. 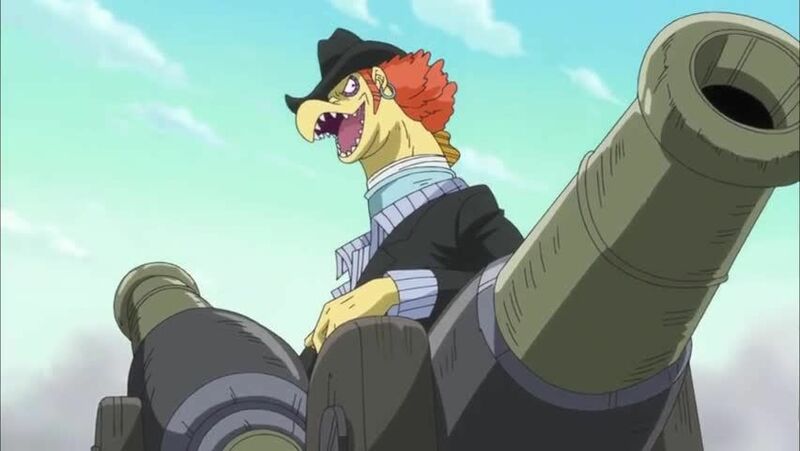 The Minister of the Right arrives at the plaza with some of the army and is informed of the situation and officially join the battle against the New Fishman Pirates allying themselves with the Straw Hats and Jimbei saying they have made a terrible mistake from blaming them. Hammond is using human pirates as slaves in his Slave Tank and Robin frees the slaves at Jimbei’s request. She easily defeats Hammond with her Double Clutch technique, breaking his back. The freed slaves them revolt against the New Fishman Pirates and ally with the crew. The Minister of the Left gets in touch with the Air Tank and is informed of the situation and order an immediate evacuation of the island. It is revealed that Hordy is a monster born from their environment. He states the officers are all the same and how their just monsters born of hatred born from their ancestors and they fear their hatred will one day fade and so will their hatred towards humans and want them to be evil to justify their actions not even wanting peace for Fishmen. He recalls what he asked what humans did to Hordy and Hordy answers “nothing” and that they’ve been chosen by the heveans to punish humans and granted power. He goes on to state that their hatred is not from beliefs or experience but they’re nothing but empty opponents. At that time, Hordy laughs maniacally and with blood-shot eyes he charges at Luffy and Shirahoshi.